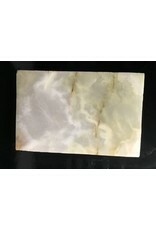 Pakistani Onyx is a banded variety of the oxide mineral chalcedony. It has a particularly striking green color! Coupled with the striking red, it provides a beautiful palate to carve. 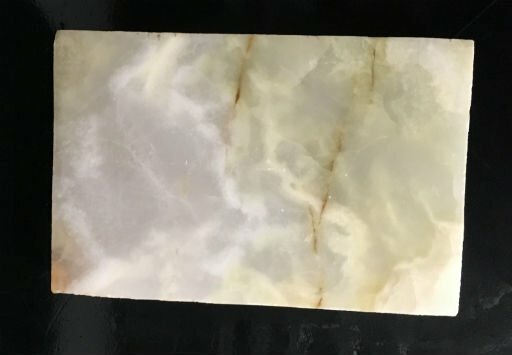 Agate and onyx are both varieties of layered chalcedony that differ only in the form of the bands: agate has curved bands and onyx has parallel bands. 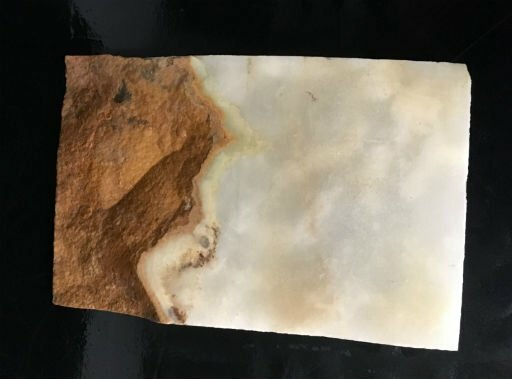 This stone has one red side and one green side. The triangular shape yeilds a wonderful surface to sart with. 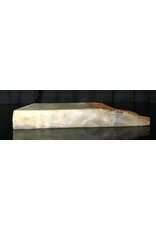 This stone is not for beginners as it is quite hard. 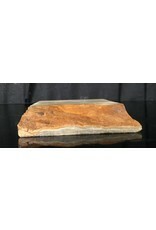 This particular stone is 4lbs and 7x5x1. 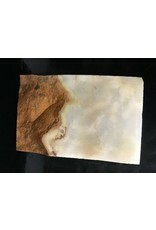 This stone is unique in shape because it is very angular with a multi-layered effect. 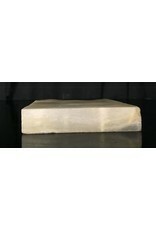 This stone is layered with white, gold, black, and bits of pink-red here and there. The stone has five flat sides.